Unlike a certain fruit based crowd, us Android users have been enjoying multitasking on our devices since, well… the dawn of time (that being the beginning of Android, anything beforehand being too insignificant to be regarded as “time”). However, there has never been a really great way of switching between open apps; sure you can use the “recent apps” feature by holding down the home button, which will probably satisfy most, especially since the amount of apps shown was increased to 8 in Android 2.2. For other, more picky people like myself though, the functionality offered natively is never enough. I have been using MultiTasking Pro for about a week now and have found it to be a great way of switching between open and recent apps. Unlike the native task switcher it offers a significant amount of customization, and has a very nice animation when switching between apps, with the current app rotating behind and the new app (the one being switched to) rotating around from behind to come into focus. Other welcome additions include the options to show a small cross on each app icon to close it, and the ability to display the status of each app (e.g. recent, system, background, visible… etc). The task switcher can be launched by either a quick press of the Home key, or a long press of the Search key, which was for me the only real problem I ran into. As I use the Sense UI on my HTC Desire, I often use the Home key to bring up all 7 home screens when on the default screen; I can no longer do this while using MultiTasking Pro unless I use the long press of Search instead, which would then mean I couldn’t use that to bring up voice search. So here is an area where perhaps a couple more options would be welcome, but for most it won’t be much of an issue. To further customize the switcher you can choose either grid or list views, decide which kind of apps should be shown (open, recent and services) and also edit a full list of all your apps to decide whether they should be shown or not. On the whole I’m full of praise for this app and would recommend it to anyone wanting more functionality from their app switcher and also to those who just love a bit of eye candy or snazzy animations to show off to your friends in true geeky fashion! 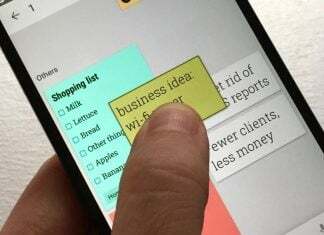 MultiTasking Pro is available in the Android market for $2.99. A “Lite” version is also available; this version has banner ads underneath the app switcher, and has a few customization features removed.